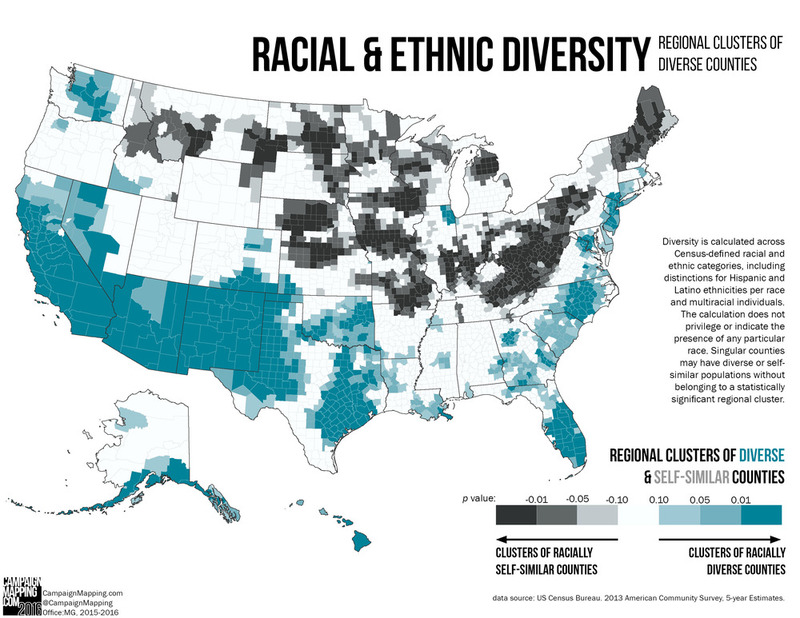 This is the first of a two-part entry on the regional patterns of race and poverty across the country. 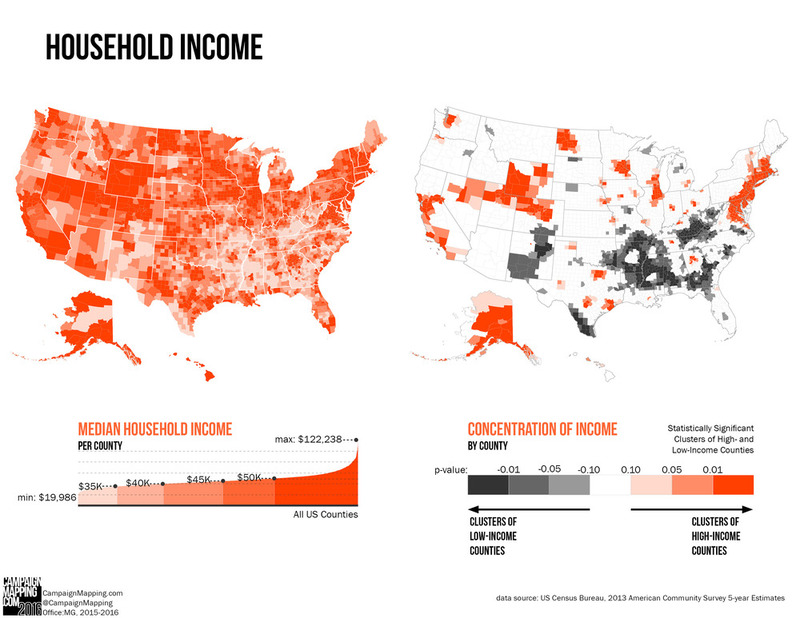 What are the overarching trends in poverty in the US—regionally, racially, and by age group? Because this is where Perry starts the conversation, we will also start by looking at the poverty levels of African Americans. Let's talk about what we find. 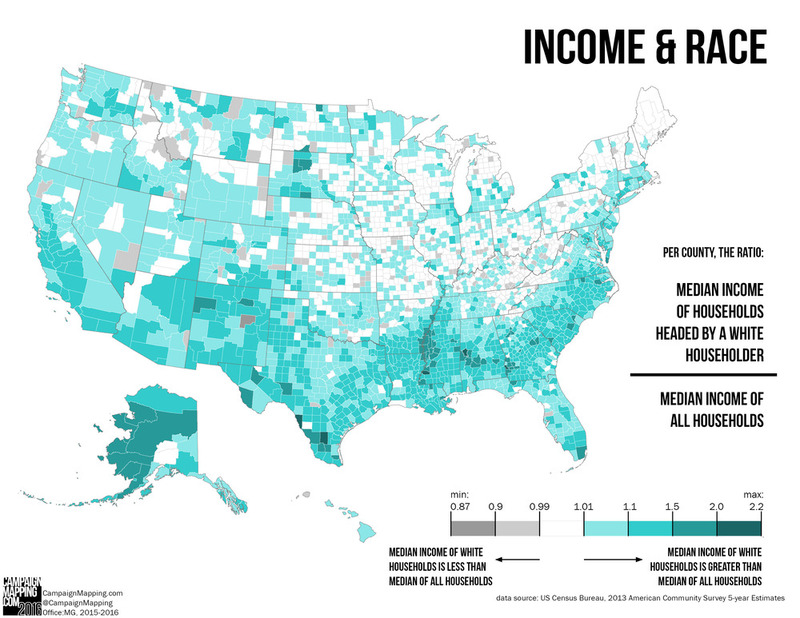 Poverty in Black and African-American communities is prevalent at levels far above the national average in almost every county where there is a sufficient Black population to measure poverty. 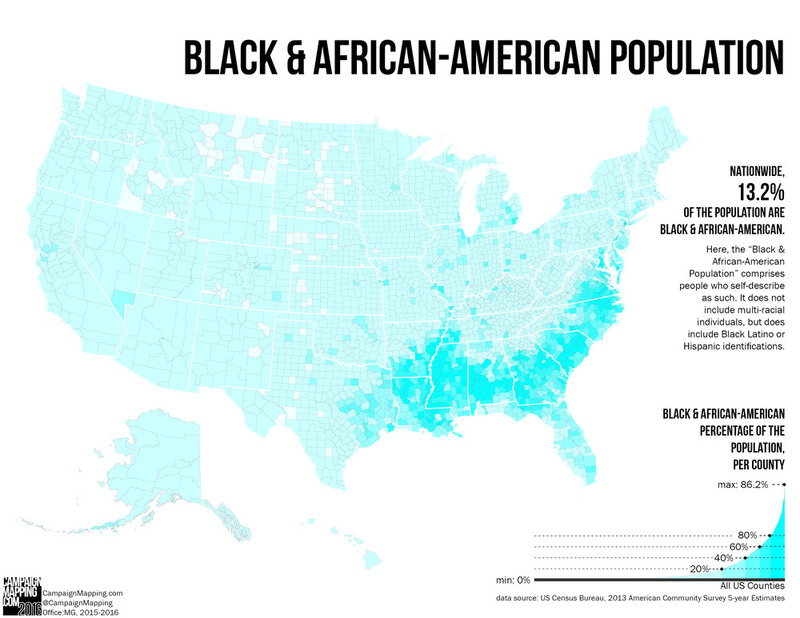 Beyond this, poverty for Black Americans reaches some of its highest levels where we also see some of the lowest poverty rates overall and in some of the least racially diverse regions. 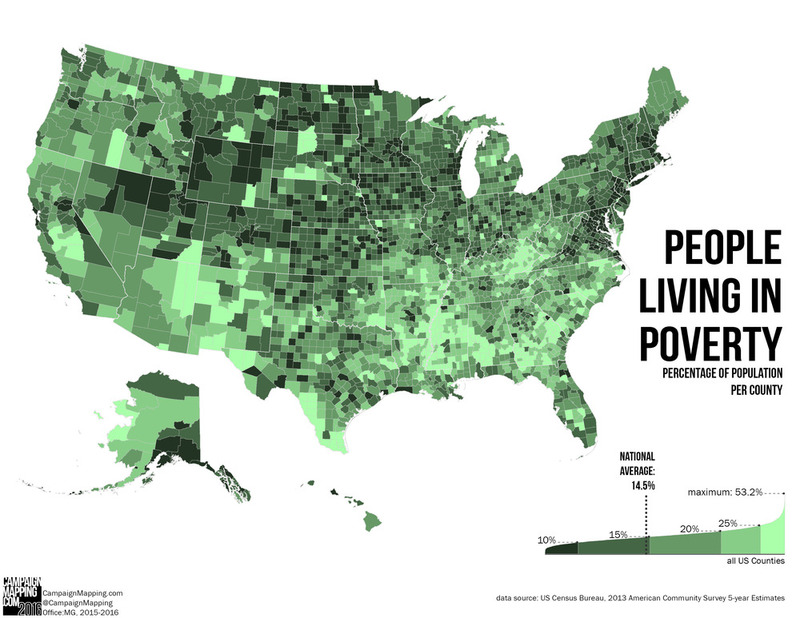 When compared to the poverty rate of the total local population, we find a similar pattern. While poverty rates for African Americans are higher than average in most (measurable) places, they reach above five or ten times greater levels in parts of the country with low levels of diversity and low levels of poverty. 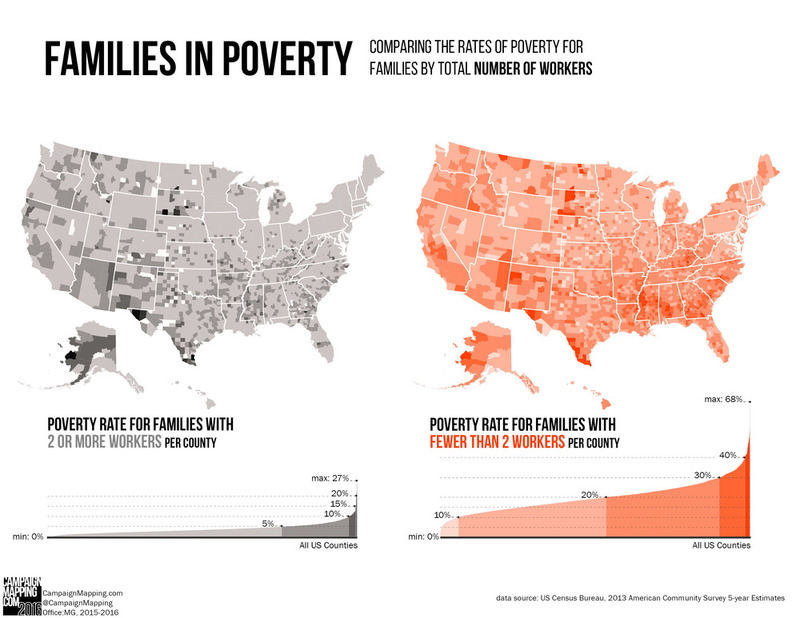 In Part 2, we will continue this comparison and take a look at the poverty rates of other racial and ethnic identities. "To the one in five children in families who are on food stamps, to the one in seven Americans living in poverty, to the one in ten workers who are unemployed, underemployed, or just given up hope of finding a job: I hear you, you are not forgotten. I'm running to be your president." On Thursday, June 4, 2015, in Dallas, Texas. Context: Rick Perry is adamant about sparking a government "reset." In order to restore the hope of "forgotten Americans," he demands that the relationship between citizens and their government must be put into question. Citing the successes of his job creation efforts during his seven years as Governor of Texas, Perry advocates for deregulation and investing in an educated workforce. If he did win the presidency, some of Perry's immediate actions would include: repeal Obamacare, approve the Keystone Pipeline, and begin exporting American petroleum products. Among working-age Americans, how many are not engaged in the work force at all, and how many are a part of the work force but unemployed nonetheless? Further, which regions of the country are most significantly out-of-work?